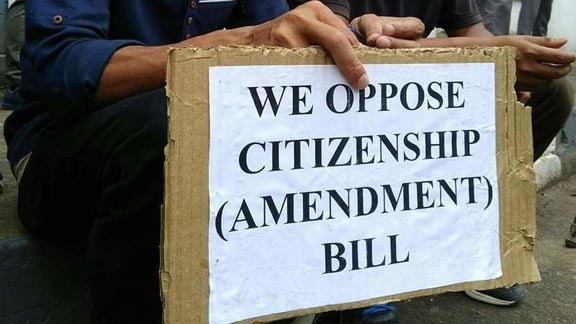 Naga People’s Front (NPF) on Wednesday said it would boycott the proposed consultative meeting on Citizenship Amendment Bill, 2016 convened by NDPP-led PDA government to be held at Chumukedima in Dimapur on Thursday. NPF spokesperson Achumbemo Kikon had said that the resolution to boycott the meet was taken during the NPF core committee meeting held at the residential office of the NPF president. As per the resolution, the NDPP-led PDA government did not oppose the bill when it was tabled in the Lok Sabha on January 6 last, which it stated was ‘a clear indication’ that they endorsed the Bill in totality. The NPF further stated that the NDPP-led PDA government had no moral right whatsoever to convene consultative meeting either with the political parties or civil societies on the issue, according to reports. It said the intention of the NDPP-led PDA government in convening the consultative meet was nothing but an eye wash and to shift the blame to the political parties and civil societies.